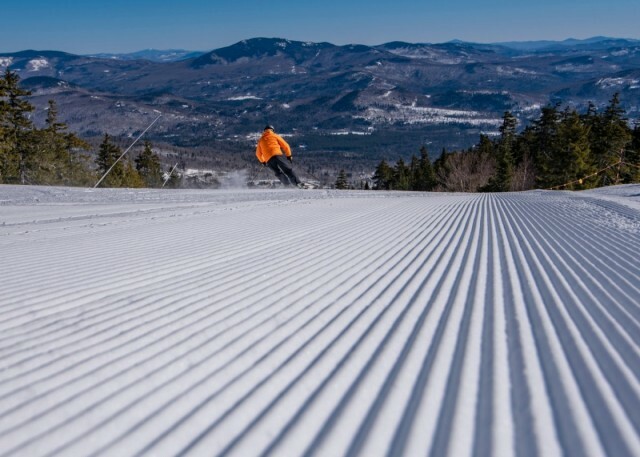 It’s been an incredible January for so many ski areas across North America. January will be one to remember with snow-packed storms, keeping soft turn after soft turn. Heading to the mountains in an electric car? 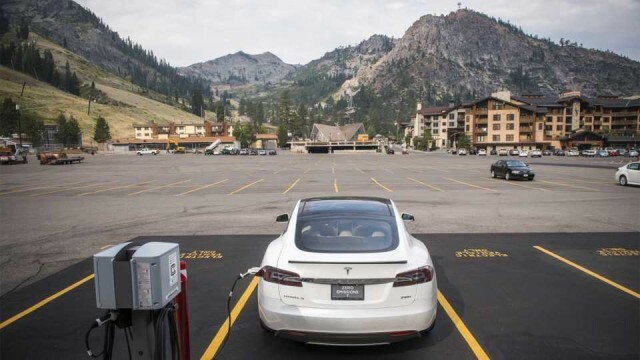 More and more, ski and snowboard resorts around the U.S. have installed charging stations so that EVs can be ready for the trip home. Snow alert! A huge storm slams the West this week with locally up to five feet of snow. The East could be nice and snowy just in time for the weekend. 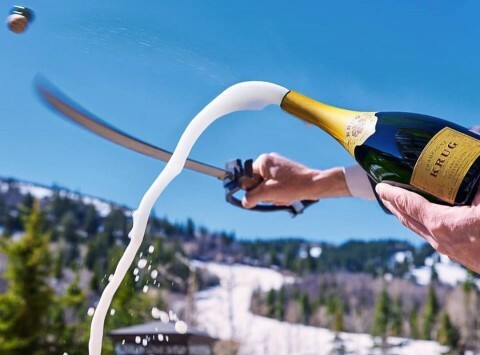 A long day carving the corduroy, tracking freshies in the powder or hucking off the cliffs deserves a reward when the lifts closed down -- at the many apres-ski bars that dot across the ski and snowboard landscape. Mangy Moose, Jackson Hole. Classic Western bar is first stop after day on slopes. Taxidermies abound, as do afternoon bands and raucous customers. 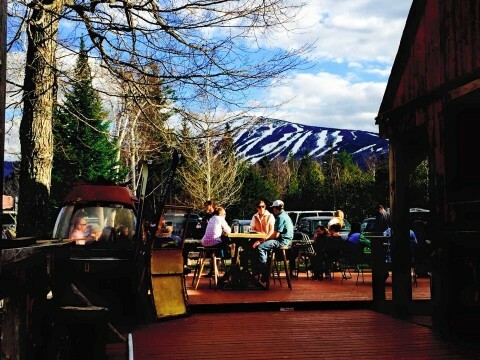 Red Parka, Glen, N.H. Pub located among White Mountain resorts kicks off at 4 p.m. weekdays, 3 p.m. weekends with home-style food and lots of beer. The Rack, Sugarloaf. 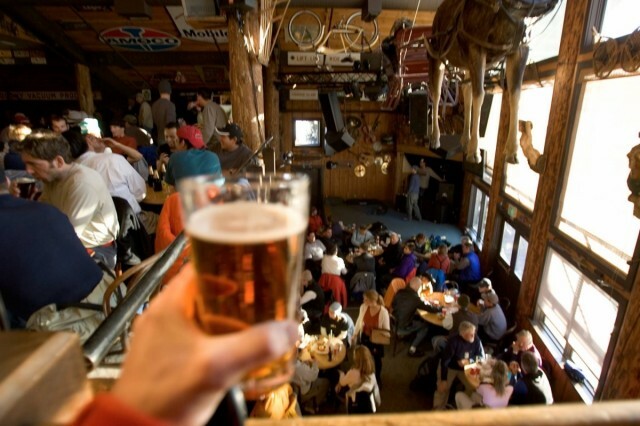 A mile down from the slopes, beers are $2 for early arrivals. BBQ specialty, and locals flock for cheap Pabst beer. St. Regis Bar & Lounge, Deer Valley. Hop the leather-upholstered funicular out of the village area for quick, 90-second ride to mountaintop watering hole. 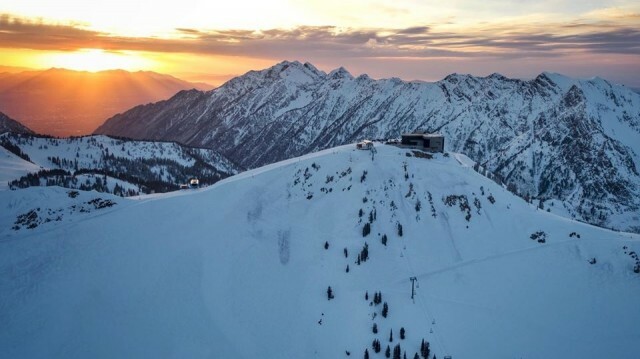 Like all at the Utah resort, drinks are upscale – with locally brewed vodka a specialty – but sunset glass of champagne is free. Snorting Elk Cellar, Crystal Mountain. 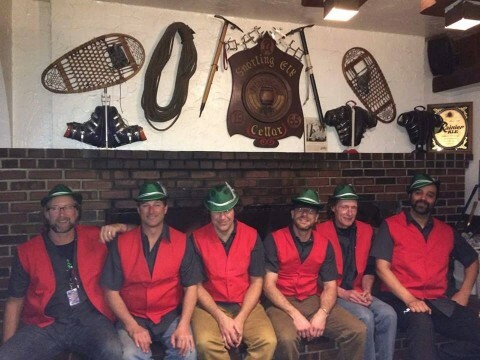 Get there early to this popular hangout in the basement of Bavarian-style lodge near the parking lot. Always packed by 4 p.m. with local brews, no wait service and no TVs. 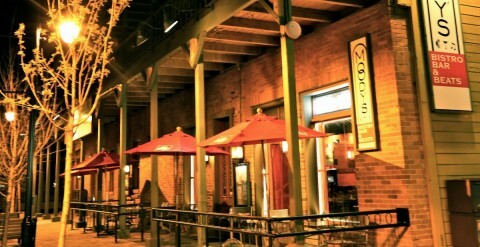 Moody’s Bistro Bar and Beats, Truckee. 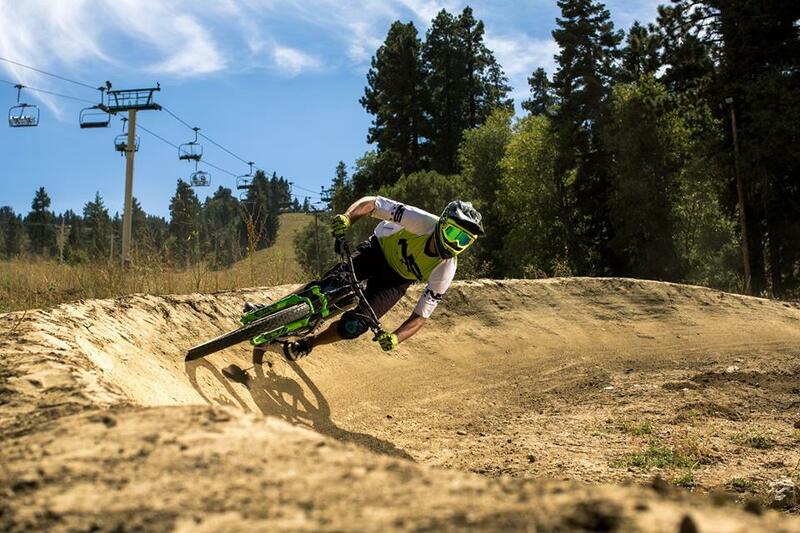 Located between Squaw Valley, Alpine Meadows and Northstar, Moody’s has transformed from a white-linen eatery into a rowdy, loud music, pizza-eatin’ apres-ski bar. 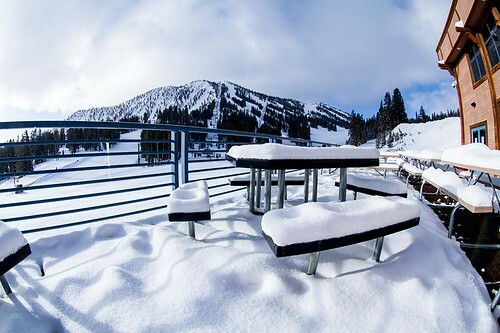 Both Heavenly Mountain and Northstar were slated to shut down their lifts on April 16, but massive snowfall this winter – more than 50 feet total in some places – changed things. 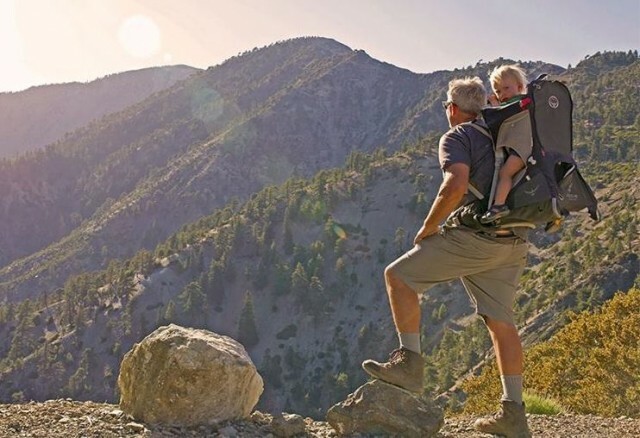 Parents always want to find a safe, entertaining activity for their children before they head off to find the powder or hit the bumps. 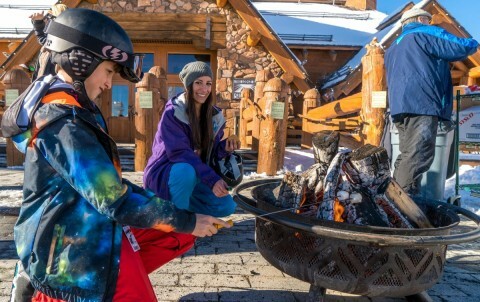 Snow Summit has built a new 3,000-square foot Summit Kids Center at the base of the Southern California mountain to house rentals, lift tickets and ski school just for kids. In Utah, Deer Valley has a trail map just for kids, and its children’s center doubles as a ski school and licensed day care center for those as young as two months old. 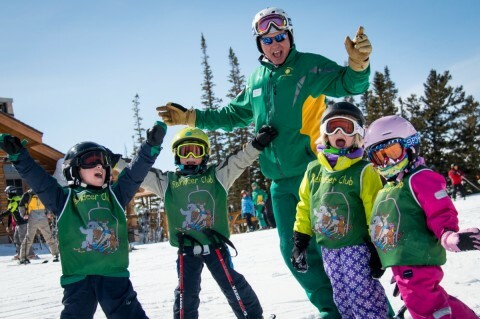 Family-focused Keystone runs kids-only group lessons, and keeps ‘em busy with tunnels at its Kidtopia and on-mountain snow fort. 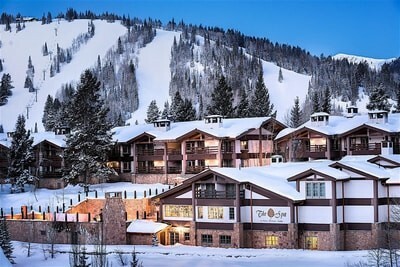 Northstar California Resort on Lake Tahoe is renowned for its tubing hill, bungee tramp and build-your-own-s’mores at aprés ski fire pit. 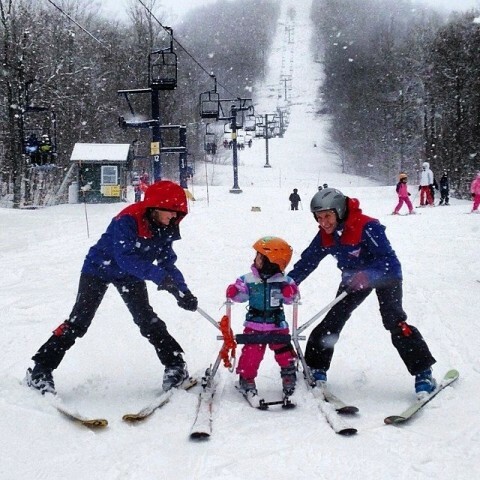 Smugglers' Notch puts kids in lessons with their own age, from 2-1/2 old on dedicated slope and nursery school. 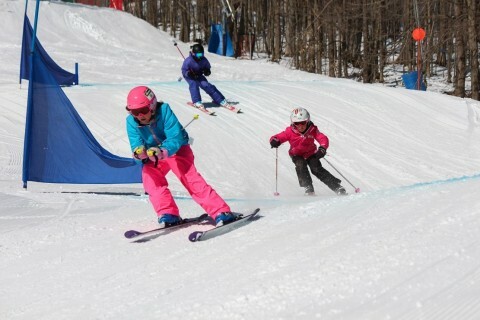 Night School for Boarding runs 4 to 7 p.m. for beginners to get comfortable in a terrain park. Teen Alley’s music, games and movies awaits, too, at the northern Vermont mountain. 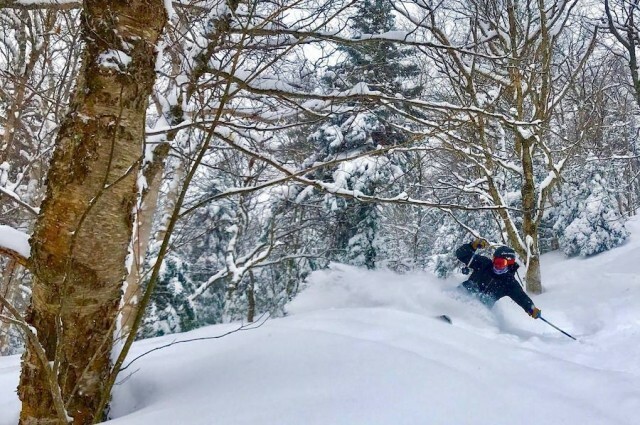 The trails at upstate New York’s Holiday Valley are full of surprises for kids – a secret snow fort, “snow monsters” galore, and a rock hunt that teaches Seneca Nation of Indians history. 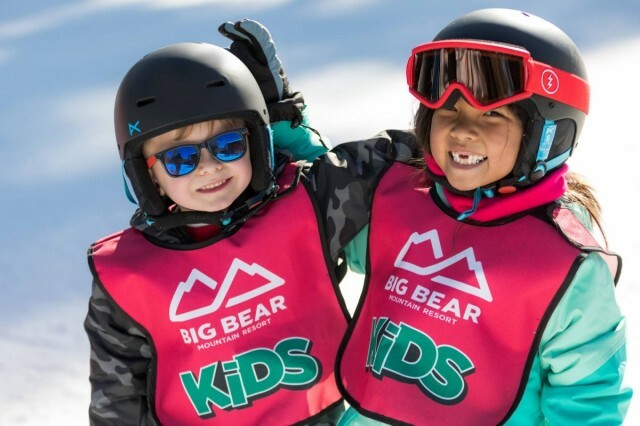 Race a friend, and finish off day with rides down mountain coaster till 6 p.m.
At California’s Yosemite Ski & Snowboard Area, the Badger Pups Program aims at kids 4 to 6 with two beginner lessons. Or enroll them in the all day Kids Camp on weekends and holidays. 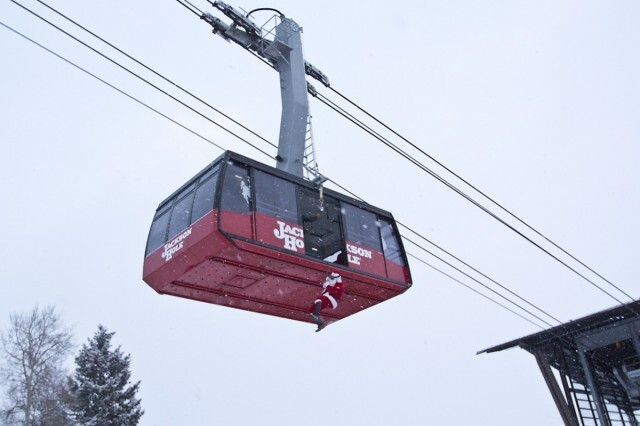 At Winter Park in Colorado, all kids get free rides on the Galloping Goose lift, which serves the bunny hill at Mary Jane. 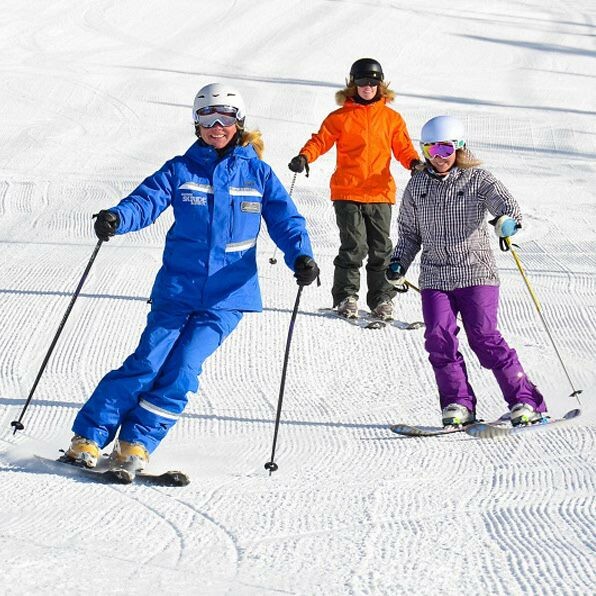 The resort also has the "Family Easy Start" program that allows families to learn together for one price. Sun Valley puts bear prints all over the mountain for kids to find, runs build-a-snowman contests and hosts youthful ice skaters right at the base of the Idaho resort. 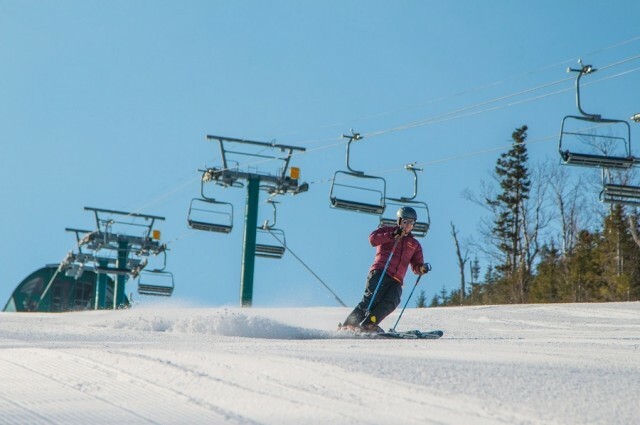 A ride up a ski lift in the offseason both gives a different perspective on a favorite mountain and gets the juices flowing for the upcoming skiing and snowboarding season. 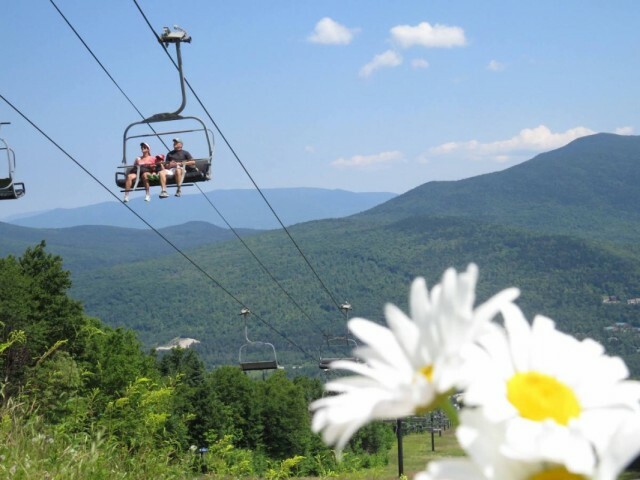 We all know that “summer” and “California” are inexorably linked, but it’s not just beaches and surf at ski and snowboard resorts up in the mountains. 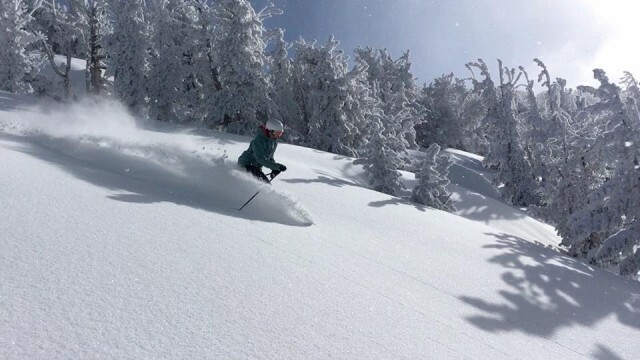 It’s just been too good at Lake Tahoe resorts this season – and so much better than recent years -- not to stay open longer than planned. 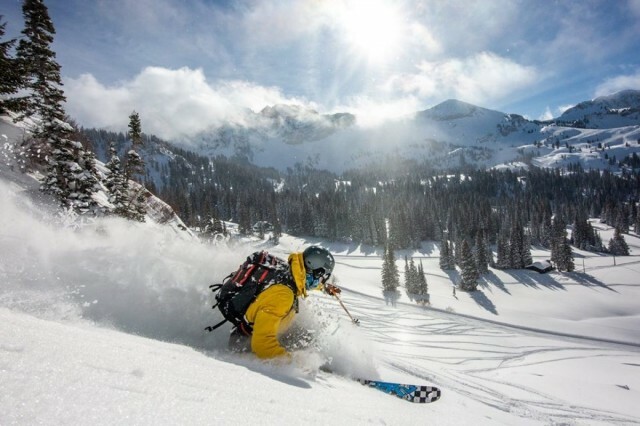 Adult women constitute a prime demographic for growth the ski and snowboard industry so, in the past few seasons, Vail has fine-tuned its ski school offerings to coincide with the schedules and desires of the females on the mountain.